Clogged air ducts increase the amount of energy used in heating and cooling. Clogged air ducts significantly decrease the life of a heating and air conditioning unit. Diagnosing and cleaning clogged air-conditioning ducts requires a little time and effort. The homeowner can prevent and remove mild to moderate buildup of dust, while more severe cases will require professional attention. Turn on the central air-conditioning unit. Wait one to two seconds for the compressor to turn on. Walk to each duct in the home. Place the back of your hand under the vent. 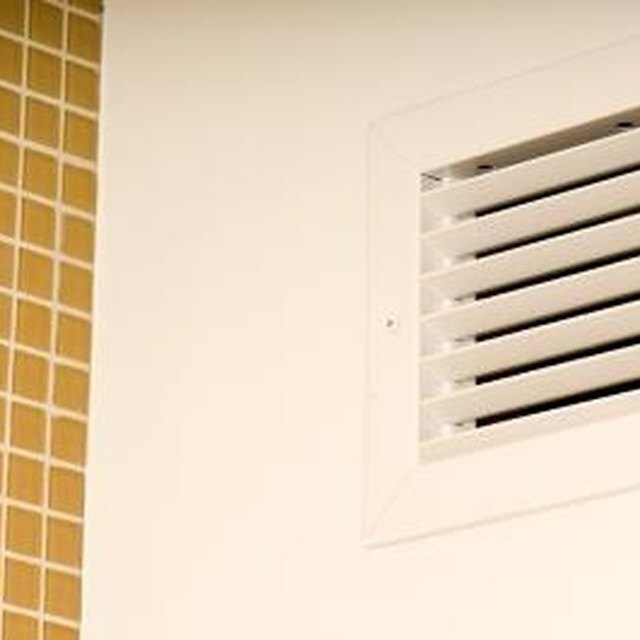 Evaluate the level of air flow coming from the vent. Inspect the vent for visible buildup of dust. Use a screwdriver to remove the vent cover. Inspect the inner duct with a flashlight for excessive buildup of dust. Use a vacuum cleaner crevice tool to remove dust from inside the duct. Replace the air-conditioning filter once every 30 days to prevent dust buildup. Preventing dust buildup assures the air flows freely from the ducts and vents. Free-flowing vents maintain the efficiency of the air conditioning system. Have the ducts professionally cleaned, if the system is prone to dust buildup or if the buildup of dust and debris is severe.